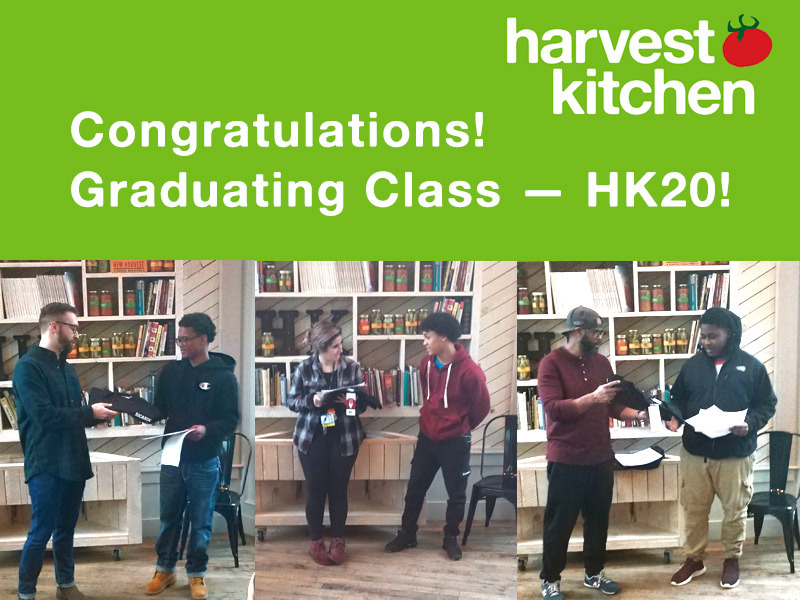 On January 18th, our 20th session of youth trainees graduated from our Harvest Kitchen culinary training program for youth ages 16–19 involved with the RI Department of Children, Youth, and Families (DCYF). This session’s adventure started back in September with eight trainees — and we are proud to report that all eight graduated! It’s been remarkable to see how the youth have supported each other throughout the last 15 weeks of training to make sure they all graduated together. Now our students are preparing to go out on their five-week internships, designed to introduce them to the culinary industry outside of the comforts of our kitchen. Having learned different aspects of gastronomy, baking/pastries, team building, and recipe development — and earning their Food Safety license — we are confident that what our trainees have learned will benefit them, as well as their future employers, in their career endeavors going forward. What’s next for our training program? HK20 was our afternoon session of youth who are currently in high school. Our morning session for out-of-school youth will graduate soon as well, HK21! Our Chef Educators are now awaiting the latest referrals from DCYF, and will begin interviewing for our next class in early February. Want to get involved with our Culinary Training Program? If you are a food service employer or culinary professional, and would like to offer employment or internship opportunities, please let us know. If you are an educator or culinary professional and would like to teach a lesson (or two) on cooking, nutrition, or culinary skills, please let us know.